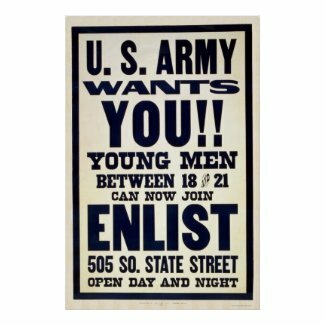 I was looking through a collection of historical prints recently because I need to finally furnish the walls of my apartment, and I love looking at the old World War I and II propaganda posters because they are so blatant. There is no suggestive nature to them, they are “do this!” and “do that!” the theory being that it is war time and we must act as one people to solve the crisis. Maybe at the time of WWII this would have been ok, but the act of not thinking now is dangerous as we seem to fight wars every other year now. Anyways, I don’t want to get too political, I just recommend checking out the posters to see what it used to be like dealing with the war complex.